The loss of sleep is a common problem in todays society and is often misdiagnosed as schizophrenia. Like recently with Kanye West (he talked about it yesterday at the White House) and more recently with Deciem-CEO Brandon Truaxe on instagram. Consistent sleep-wake patterns of going to bed late, frequent nighttime arousals, or waking up early can lead to sleep deprivation and the accumulation of sleep debt. Not getting enough sleep prevents the body from strengthening the immune system and producing more cytokines to fight infection. This can mean a person can take longer to recover from illness as well as having an increased risk of chronic illness. Furthermore, sleep deprivation can also result in an increased risk of new and advanced respiratory diseases. Psychologists at the University of Bonn have published a report in 2014. Twenty-four hours of sleep deprivation can lead to conditions in healthy persons similar to the symptoms of schizophrenia. This discovery was made by an international team of researchers under the guidance of the University of Bonn and King’s College London. The scientists point out that this effect should be investigated more closely in persons who have to work at night. In addition, sleep deprivation may serve as a model system for the development of drugs to treat psychosis. The results have now been published in “The Journal of Neuroscience”. The scientists from the University of Bonn, King’s College London (England) as well as the Department of Psychiatry and Psychotherapy of the University of Bonn Hospital examined a total of 24 healthy subjects of both genders aged 18 to 40 in the sleep laboratory of the Department of Psychology. In an initial run, the test subjects were to sleep normally in the laboratory. About one week later, they were kept awake all night with movies, conversation, games and brief walks. On the following morning, subjects were each asked about their thoughts and feelings. In addition, subjects underwent a measurement known as prepulse inhibition. “Prepulse inhibition is a standard test to measure the filtering function of the brain,” explains lead author Dr. Nadine Petrovsky from Prof. Ettinger’s team. In the experiment, a loud noise is heard via headphones. As a result, the test subjects experience a startle response, which is recorded with electrodes through the contraction of facial muscles. If a weaker stimulus is emitted beforehand as a “prepulse”, the startle response is lower. “The prepulse inhibition demonstrates an important function of the brain: Filters separate what is important from what is not important and prevent sensory overload,” says Dr. Petrovsky. In our subjects, this filtering function of the brain was significantly reduced following a sleepless night. “There were pronounced attention deficits, such as what typically occurs in the case of schizophrenia,” reports Prof. Ettinger. “The unselected flood of information led to chaos in the brain.” Following sleep deprivation, the subjects also indicated in questionnaires that they were somewhat more sensitive to light, color or brightness. Accordingly, their sense of time and sense of smell were altered and mental leaps were reported. Many of those who spent the night even had the impression of being able to read thoughts or notice altered body perception. “We did not expect that the symptoms could be so pronounced after one night spent awake,” says the psychologist from the University of Bonn. The scientists see an important potential application for their results in research for drugs to treat psychoses. “In drug development, mental disorders like these have been simulated to date in experiments using certain active substances. However, these convey the symptoms of psychoses in only a very limited manner,” says Prof. Ettinger. Sleep deprivation may be a much better model system because the subjective symptoms and the objectively measured filter disorder are far more akin to mental illnesses. 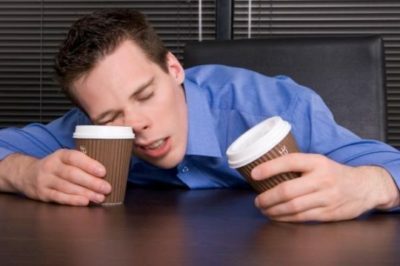 Of course, the sleep deprivation model is not harmful: After a good night’s recovery sleep, the symptoms disappear. There is also a need for research with regard to persons who regularly have to work at night. “Whether the symptoms of sleep deprivation gradually become weaker due to acclimatization has yet to be investigated,” says the psychologist from the University of Bonn.